The Lutheran Center, 12-1.30 p.m. Due to a scheduling conflict (since many of us want to celebrate Pastor Mary Gade and Pastor Carl Shankweiler) the Youth Ministry Network will meet the following Thursday. Bring your own Lunch, your questions, ideas and resources. We are here to support each other as we do the zany work of Youth Ministry. Please RSVP to Deaconess Deborah Graf at dgraf@trinityreading.org . (The next weekend meeting is scheduled for Saturday, May 11 at 10:00 am at Advent, West Lawn. We will be trying to meet in various areas of our synod.) Please share the invitation and dates with those in your congregations who work with children and youth. The IronPigs are once again hosting their annual Faith Night at Coca-Cola Park on May 22. They invite you to join other members of the ELCA! The Syracuse Mets (our opponent that night) will be featuring notable athlete Tim Tebow, who is known for his Faith. Tickets can be purchased individually via this link: https://groupmatics.events/event/Evangelicallutheran. You can also contact them at 610-841-1237 to find out how to get your church recognized, or receive a ceremonial first pitch on the field! June 1. Synod Assembly. “Freed in Christ for a New Day.” Genetti Inn and Suites in Hazleton. This is a one-day event. Registration cost for voting members will be only $100, while visitors this year will pay $20 (which covers the cost of the full luncheon). Any and all are encouraged to attend. More information will be placed on the synod website as it becomes available. 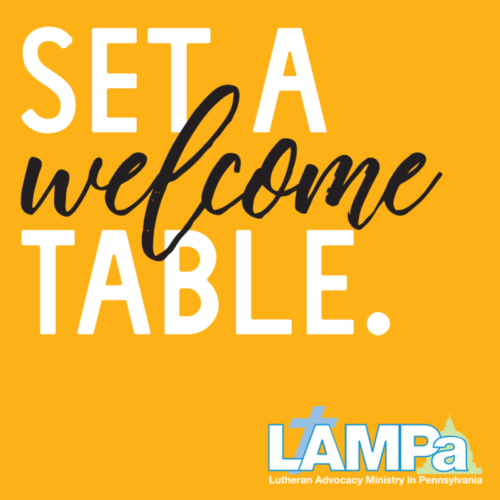 Lutheran Day of Advocacy — Set a Welcome Table! Bring Your Faith to the Table. On May 19 and 20, join people of faith from around Pennsylvania for inspiration, education and participation — in worship, service, learning and advocacy. We will focus on setting bigger, more welcoming, tables in our lives, our congregations, our communities and our Commonwealth. Bring a friend — or a team! Keynote speaker Kathryn Lohre, Assistant to the Presiding Bishop of the Evangelical Lutheran Church in America and Executive for Ecumenical and Inter-Religious Relations & Theological Discernment will offer a vision of what it could mean to live into the proposed Declaration of Inter-Religious Commitment, to be considered at the 2019 Churchwide Assembly. She will also lead a conversational workshop around the wisdom and work that went into the proposed policy statement. The day includes worship, workshops on a range of policy issues, legislative visits, breakfast, lunch and a celebration of advocates from each synod. ► Wayne & Heintzelman (retired; wahx@aol.com) and his wife, Elsa. Congratualtions at the birth of twins Jacob and Lydia to their son Joel and daughter in law Marisa Orloski Heintzelman on Saturday, March 16. 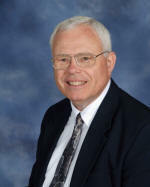 ► Wayne Kaufman (retired, P/T Trinity, Hazelton; kaufman19@verizon.net) is currently undergoing tests on his heart. ► Leilani, the infant daughter of Becky Blitch and Eliot Rodriquez, granddaughter of David (Salem Belleman’s, Mohrsville; revblitch@msn.com) and Karen Blitch whose surgery on February 27 was successful, and she continues to recover in the hospital. She is expected to go home in the very near future. 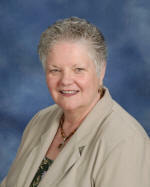 ► Deb Gifford (UCC Pastor serving Trinity, Gouglersville; gifforddk@aol.com) is recuperating after surgery. 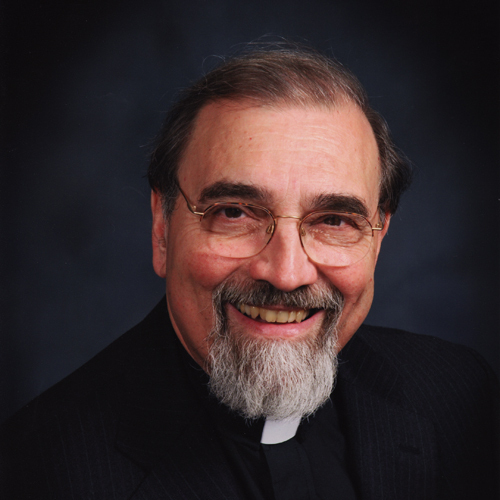 ► Jeremiah Sassaman (St. Paul/Mertztown; revjr3@ptd.net), whose father, Richard, is back in the hospital with an infection following open heart surgery. Grace, Shillington has an opening for a part-time Parish Administrator. 16 hours per week; specific days and hours are negotiable. Candidates must have excellent communication and organizational skills and should be proficient in the use of Microsoft Office programs (Word, Excel, Publisher, PowerPoint, Outlook) with at least some knowledge of PowerChurch Plus and QuickBooks preferred. Compensation is commensurate with experience and education. Qualified candidates are to submit their resume electronically to council@graceshillington.org. Deadline for applications is March 22, 2019. Full time position, 40 hrs/week. Christ Lutheran Church, Hellertown is seeking a Church Administrative Assistant to manage the church office. Church secretary/ Administrative Assistant experience necessary. Knowledge of Shepherd Staff, Microsoft Office, including Excel, Outlook, and Publisher necessary. Social media savy is helpful. Christ Lutheran Church has a staff of 20 employees. We are an active church requiring attention to details and organization skills. Salary based upon experience. Please send a letter of interest and a resume to: Pastor Phil, churchoffice@christlutheranhellertown.org. Please type “Admin Asst” in the subject line. Position available in Mid-March. Detailed position description is available upon request. St. John, Kutztown, has a well-established day care center and is looking for an energetic and hardworking director to head our program. Our ideal candidate should have a strong work ethic, positive attitude, the ability to balance a variety of tasks, and a love for children. This is a permanent full-time position serving children age 3 - grade 8. The director is responsible for the general management of the facility including administering finances, personnel, maintenance, program objectives, and activities. Applicants for this position will need a Bachelor's degree from an accredited college or university in early childhood education, elementary education or the human services field, and at least one year of experience with children. Current clearances are required. To apply please pick up an application at St. John's Lutheran Church, 201 E. Main St. Kutztown, PA. For further information call (610) 683-5402, and ask for Kayla Conrad. St. John, Kutztown, is now hiring a part-time Group Supervisor M-F, 30 hours per week. Minimum job requirements: an Associate Degree from an accredited college or university in early childhood education, child development, special education, elementary education, or the human service field and 2 years experience with children. Qualified candidates must obtain current clearances and must have references. A flexible schedule is a must. Starting salary is based on experience. Call (610) 683-5402 weekdays 9 am - 5 pm for application information; ask for Kayla Conrad. The Schober Theatre Organ (click here for a full description) is not merely a routine electronic organ dressed up to suggest the cinema instrument. It was designed from the ground up to provide that marvelous palette of tone colors and pitch registers that makes even the simplest effort result in musical satisfaction that warms the heart. Indeed, few but the largest theatre organs of yesteryear could provide the variety of effects, the gamut of emotional expression which is now available to you in the Schober Theatre Organ. The owner (in west Allentown) would like very much to find a good home for it in any church or home. For more information contact Nancy Fennell at nanfenn@aol.com.